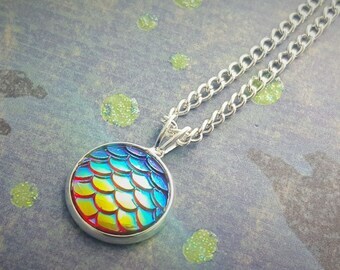 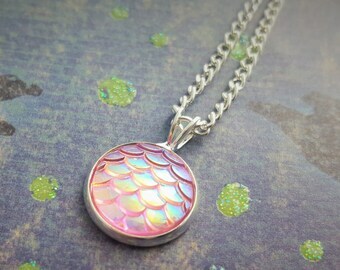 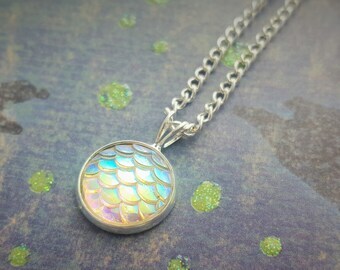 A gorgeous iridescent scales necklace, perfect for mermaid or dragon fans! 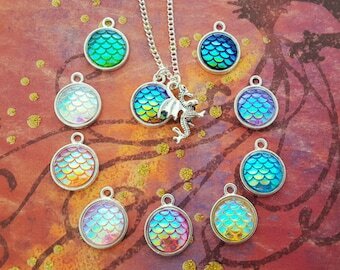 Girly meets myth and magic these necklaces are eye catching and truly beautiful! 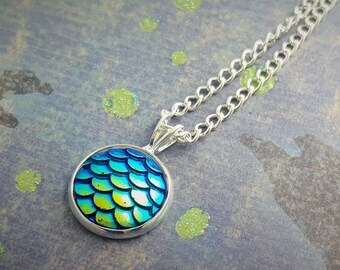 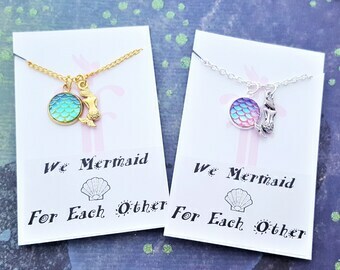 Match your inner mermaid's tail with this lovely fantasy theme pendant. 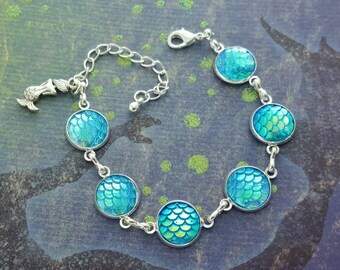 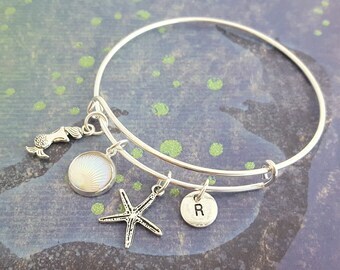 Why not layer it with other ocean theme jewellery? 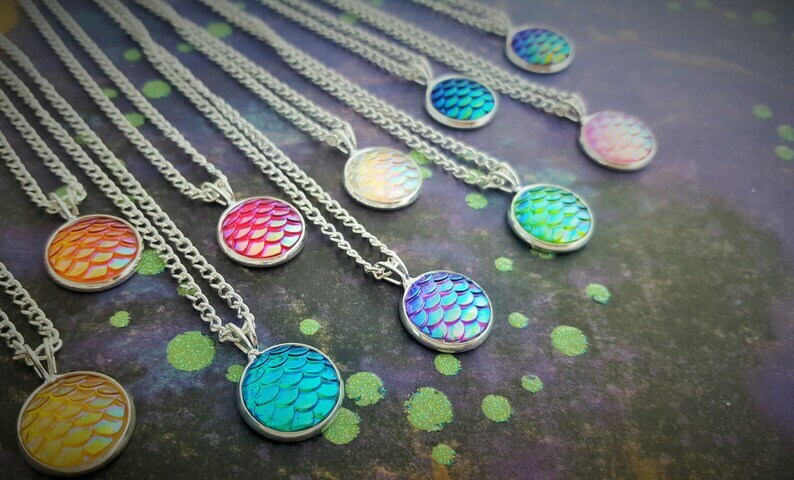 10 Colour Options Available! 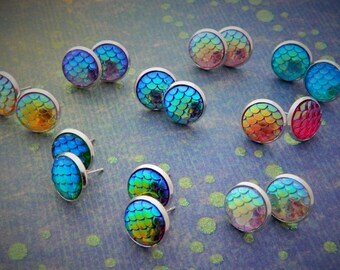 Choose your favourite colour from our drop down menu. 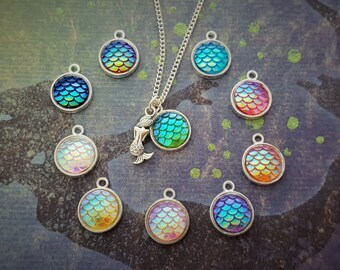 The colours are shown in the 4th image. 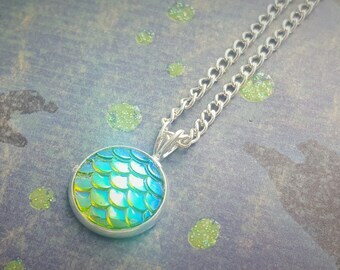 Scales: 12mm Acrylic, Iridescent, Fitted into a 14mm Silver Plated Cabochon Setting. 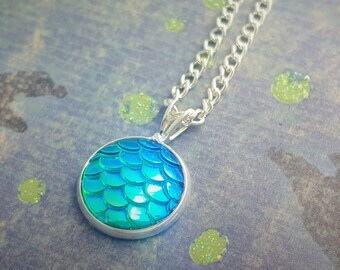 Our chain necklaces come backed on a card, in a cellophane packet and then they are put inside a free organza gift bag. 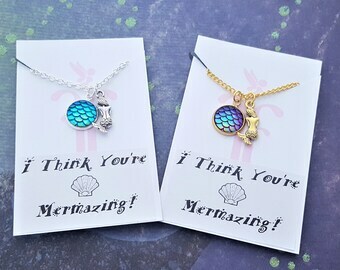 The leather and cord versions don't come on a card but they are carefully looped and placed inside the cellophane. 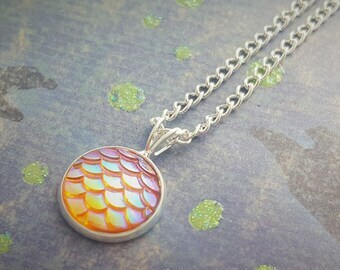 I purchased this as a present, but I am certain that the recipient will love it!